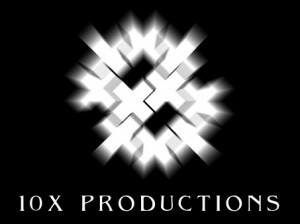 10X Productions is an award-winning non-profit film/media production company. We are cross-cultural storytellers who specialize in spiritual stories and the empowerment of emerging visual storytellers in other cultures. 10X Productions is uniquely positioned to create the kind of global, culturally and spiritually aware projects we’re pursuing. The creative principals have extensive media production experience in overseas contexts as well as a proven track record in communicating with our core audiences. Additionally, we have a significant network of relationships with filmmakers and entertainment business professionals to give us strength in the business of filmmaking and distribution. Tom began his career on the production side of the business. He is an award-winning producer, director, cameraman, and editor. Accompanying his high-level experience in projects ranging from television commercials to documentaries to dramatic films, Tom has also produced projects in over 30 countries. Matt and his family lived in Latin America for 12 years. They now live in Denver, Colorado where Matt has worked in media since 1995. He has been involved as a cameraman, audio technician, editor, and producer. Matt has a passion to tell stories with spiritual themes which are set in cross-cultural settings.